The dollar is finding a second wind in 2016. America's greenback recently hit its highest point since early March, rallying on the rising hopes that the Federal Reserve will finally raise interest rates in December. "The dollar has been in rally mode," says Ben Ayers, senior economist at Nationwide. Last week, the Fed hinted that it plans to raise rates "relatively soon," a comment that added to the dollar's rally. It's up 3% against a basket of currencies since late September, surpassing the level seen after the Brexit vote in the United Kingdom. Wall Street investors now place a 64% chance of a Fed rate hike in December, which is among the highest odds seen all year. A rate increase in the U.S. would be the first in a year and a reflection of a healthy economy. That would be good news for the dollar, which tends to rise on signs of American economic strength. Another key factor behind the dollar's recent gains: the U.K.'s pain from the Brexit vote. The pound is down 19% against the dollar since the U.K. voted to leave the European Union on June 23. More recently, British Prime Minister Theresa May has given fresh details about when the U.K. will begin the two-year unraveling process, and that news has sent the pound down further. The pound's fall is important because it is one of the major currencies compared against the dollar in the ICE U.S. dollar index, a popular gauge of the greenback's performance. And as one currency falls, another rises. It's unclear if the U.S. election is having much, if any, impact on the dollar, economists say. While other metrics, like Mexico's peso, have become proxies for the election, it's hard to discern how much of the dollar's gains are attributable to Hillary Clinton's improving odds of beating Donald Trump. But it's important to remember a strengthening dollar isn't good news for everyone. It's great if you're vacationing abroad, but challenging if you're selling products (read: iPhones) overseas. A rising dollar makes them more expensive -- and less attractive -- to foreign buyers. In early 2015, the dollar had its biggest rally in 40 years, but it eventually set back U.S. manufacturing and exporters. If the dollar continues to rally, that could weigh down U.S. trade and American businesses selling abroad. 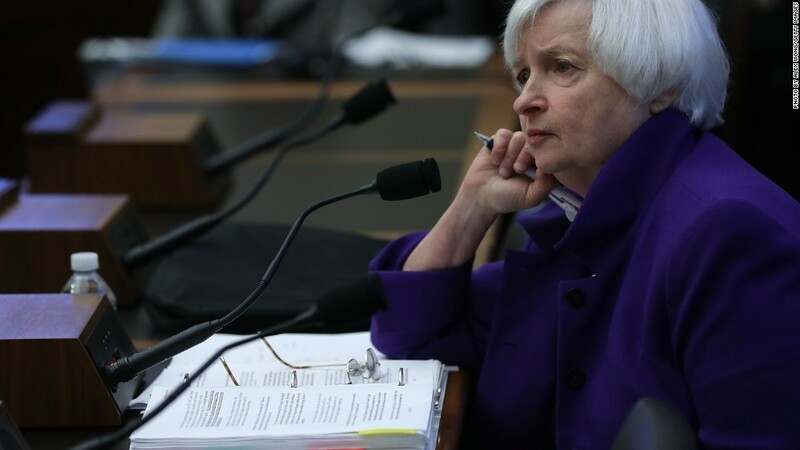 And if that plays out, it could cancel the Fed's potential plans to raise rates before the end of the year. "If the dollar continues to increase, depending on the magnitude of the increase, that could be a factor that ultimately causes the Fed to wait in December," says Russell Price, senior economist at Ameriprise Financial.